Billy Blackburn poses with his oversized check after claiming a $500,000 top prize in the EXTRA PLAY Scratch-Off game. 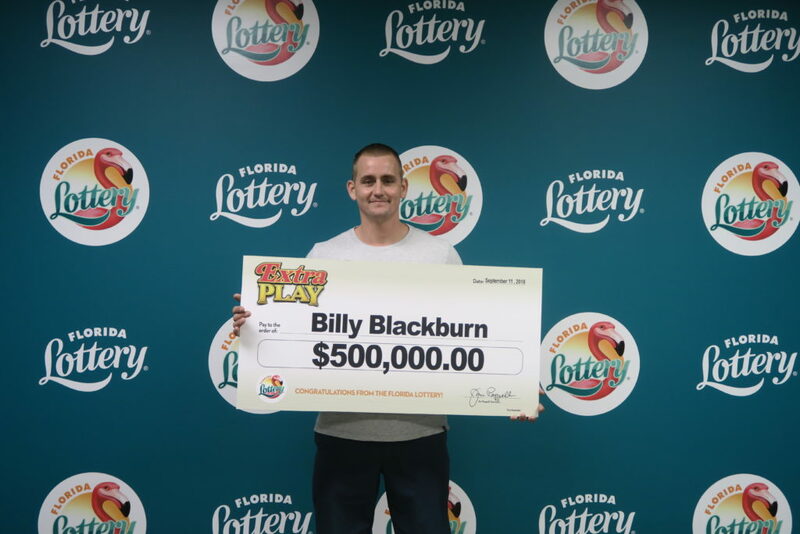 The Florida Lottery announces that Billy Blackburn, 30, of Lake Worth, claimed a $500,000 top prize in the EXTRA PLAY Scratch-Off game at Florida Lottery Headquarters in Tallahassee. He purchased his winning ticket from Citgo, located at 8957 Lake Worth Road in Lake Worth. Blackburn said he was still in shock over his win, and shared that he plans to use his prize money to help his church and family members.